Testimonials - George J. Kokorelis, P.C. Ann J. 4/15 – “Wonderful. Thank you for handling my case. You and Carol are very professional yet very kind. I appreciate all that you have done Best $950 I ever spent!”. Joseph H. 3/13 – “George Kokorelis has been a blessing to me during my divorce. He was recommended to me by a former client who was greatly satisfied with his services. Over the past 2 1/2 years, Mr. Kokorelis has successfully assisted me during my divorce. He is always available for questions and ready to assist where he can. I really appreciate the time and effort that Mr. Kokorelis has put into my divorce, which has allowed me to move on with my life. Thank you so much Mr. Kokorelis. Nina C. 9/2011 – You helped me through a very hard and emotional decision that I had to make. You facilitated and helped me obtain my divorce with such ease that to this day I can’t thank you enough. You saw me as an individual and worked with my circumstances and made the payment options so affordable. I will always remember the kind and supportive staff and I will recommend your services to anyone I come in contact with. Thanks so much for all that you’ve done. Suziann B. 10/2011 – Mr Kokorelis- Thank you so much for helping me get through the worst year I ever had. Your concern for me as a person was to make sure I was in good hands. Thank you for your understanding and getting me what I needed to start a new chapter in my life. I would recommend everybody about you because you really care about your clients. I will be forever grateful for your kindness shown through out my case. 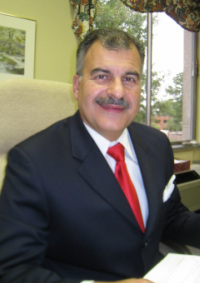 Wayne M. 9/2011 – George Kokorelis is a very reliable lawyer. He handled my corporate business needs in a very professional manner. Thank you. A fine lawyer! Elmira W. 12/11 – Attorney Kokorelis was accurate and prompt when it came to my case. I am truly pleased with the professional and caring services provided by his office. I will refer any friend in need of an attorney to his office.